Baikal Mystery. Shop for tours to Russia. Saint Petersburg. City tour. You'll be picked up from the hotel to start the tour. St.Petersburg is the Russian cultural capital that is also often called the Venice of the North because of its canal system. 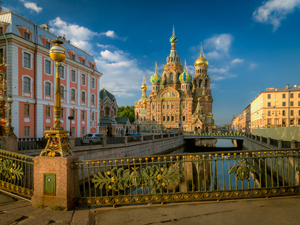 You’ll have a fascinating city tour that includes all major sights of St.Petersburg such as the Palace Square, Hermitage Museum, St. Isaac's Cathedral, Church of the Savior on Spilled Blood, Nevsky Prospect and many more. St. Isaac's Cathedral was built between 1818 and 1858, by the French-born architect Auguste Montferrand and was originally the city's main church and the largest cathedral in Russia. It will impress you with its beautiful facades and interiors. The Church of the Savior on Spilled Blood is one of the main Russian Orthodox cathedrals in St. Petersburg. The word "blood" in its name refers to the death of Tsar Alexander II who was killed on March 13, 1881 and this is exactly where the church was built. It contains over 7,500 square meters of peculiar mosaics showing biblical scenes and figures - more than any other church in the world. 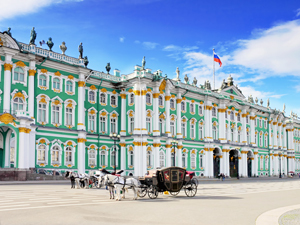 You’ll also see a former residence of the Russian Tsars, the Winter Palace where the cherished Hermitage Museum collection of more that 3 million world-famous works is presented. 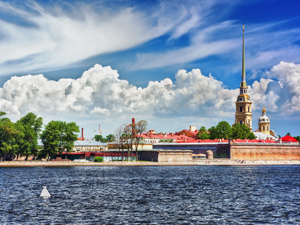 Visit to the Peter and Paul Fortress, the most famous political prison of the Tsarist Russia. Transfer back to the hotel.